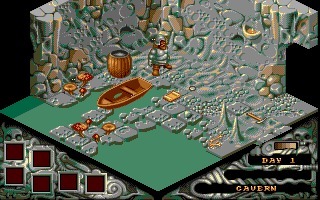 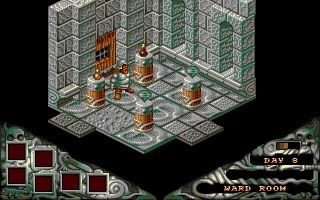 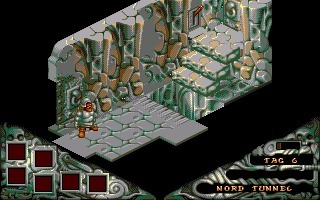 Cadaver is an isometric arcade adventure created by The Bitmap Brothers and published by Image Works in 1990 for the Amiga and Atari ST.
After the success of Xenon, Xenon 2 and Speedball, the British Software house decided to try a different genre - action-adventure, but with several puzzle elements - and a different setting - fantasy. 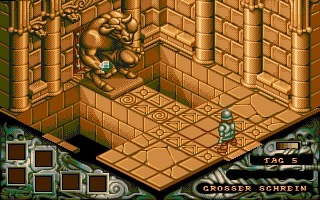 The result is an excellent game, with beautiful isometric graphics, a well designed, not linear, gameplay and, for all ZX Spectrum fans, a striking similarity with the ZX Spectrum hit Knight Lore. 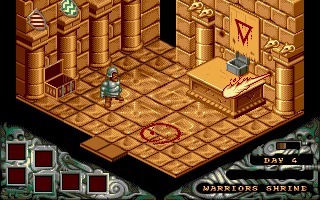 The game was not a commercial success but received extremely positive reviews. 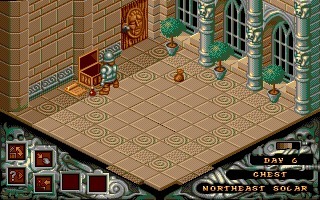 It won the Golden Chalice in 1990 as Adventure Game of the Year. 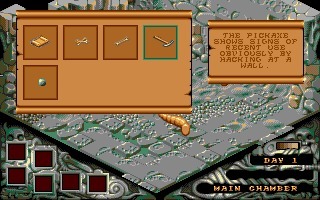 In 1991 a Data Disk called "The Payoff" was released. 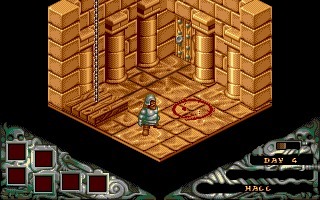 We included this package in the game you will download from GamesNostalgia. 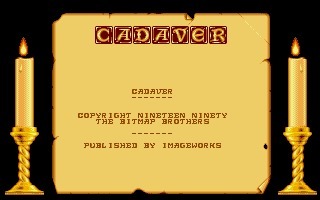 Also available the game guides of Cadaver and Cadaver - The Payoff, released by Bitmap Brothers.